The Pramac S8000-400v / 230v electric start is a robust generator with all the features of a premium quality product with a powerful, economic engine, a strong modern design and a long-run easy filling fuel tank. Perfect for intensive use, it is equipped with a control panel which allows integration for many accessories and options for better comfort and optimal command. Ready to move where power is needed, being configured with a strong compact frame and integrated wheel-kit allows easy ergonomic transport. 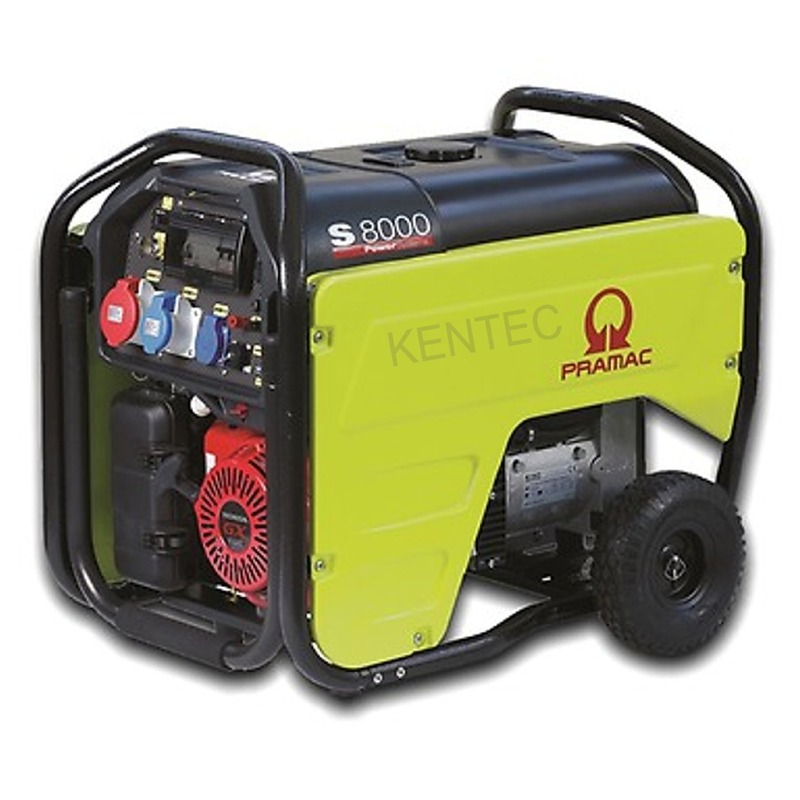 This Honda powered generator comes with both 230v and 400v power output sockets and electric start for convenience and site work. openings for an easier ordinary maintenance).